Put the strawberries in a bowl and sprinkle over the sugar and lemon juice. Chill in the fridge for at least 30 minutes. 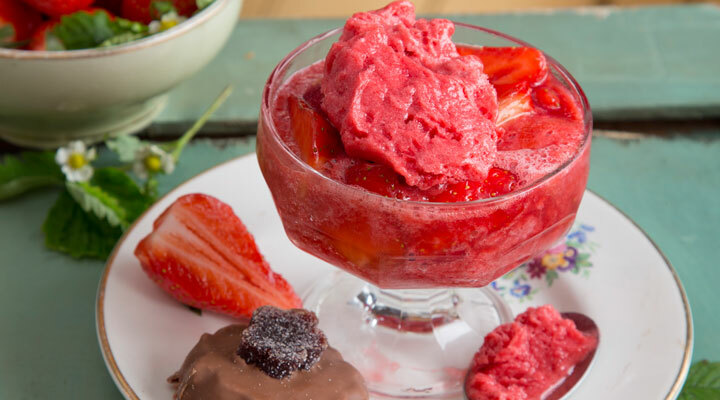 When ready, put two scoops of sorbet into each dessert bowl. Arrange the macerated strawberries around and drizzle the juices over. Serve with a biscuit on the side.